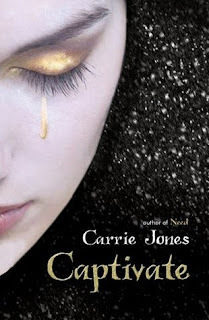 Captivate (Need, book 2) by Carrie Jones. Now this is a story of heroes. Captivate is the second book in the Need series by Carrie Jones. As I mentioned in my review of Need, I feel a connection to these books due to their setting in the woods of Maine. Jones does a fabulous job of describing the cold isolation of a rural Maine Winter and provides the perfect setting for this paranormal tale. Captivate is one of the finest examples of young adult paranormal fiction that I have read. The paranormal romance within these pages continues to grow and the relationships between these young characters motivate their fight against the Pixie threat. Zara and her friends, humans and shifters, area about to face their biggest battle. Will they be ready to face this threat together or will fear and suspicion destroy them all? I enjoyed Captivate and am looking forward to reading Entice the third book in the Need series. I would recommend Captivate to readers of paranormal romance, young adult, urban fantasy, and mysteries especially to fans of young adult paranormal fiction that includes pixies and weres. The cover reminds me of Sinead O'Connor in her 'Nothing Compares 2 U' music video. This series sounds so well written. I am going to have to get Need from what I am hearing. :) Thanks!